You are here: Home / reviews / The best duvet ever! We’ve recently moved the girls into bunk beds, which meant we needed new duvets. I bought a cheap one for one of the beds and then we were lucky enough to be sent another from Dreams. I really didn’t think I’d be able to tell the difference between the two duvets, but as soon as I pulled the Dreams one out of the box I could tell it was MUCH better quality. It is supersoft and silky to touch, as well as being very light. H has been poorly this week with a tummy bug, so I’ve spent a lot of time in bed with her stroking her hair, I can tell you that not only is the duvet light, but also toasty warm. Unfortunately we also had to wash the duvet thanks to the tummy bug, but it washed brilliantly and dried very quickly just by hanging it up. 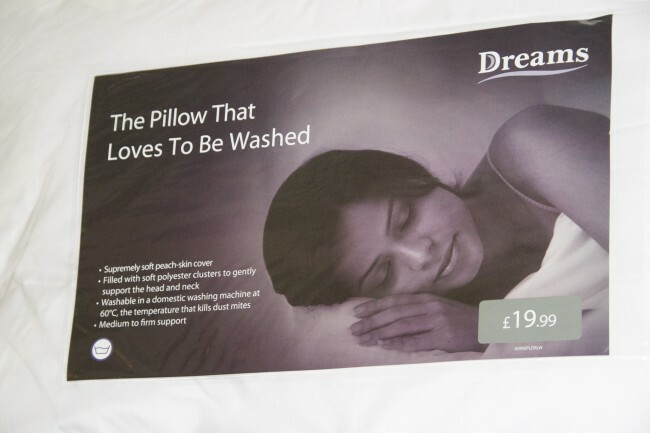 I would definitely buy another duvet from Dreams, I think I’ll even save up to get one for my SuperKing bed as our duvet on there is very heavy, and it’s my husbands biggest chore to change the cover on it! I took ‘The Pillow That Loves To Be Washed’ for myself, and again it is very soft to touch but firm enough to give good head and neck support. I can really tell the difference between that pillow and the cheaper ones we already had. The ‘Duvet That Loves To Be Washed’ is very light and can be washed in your average washing machine at 60 degrees, which is hot enough to kill dust mites. It retails at £39.99 for Single size. The pillow can also be washed at 6o degrees and retails at £19.99. 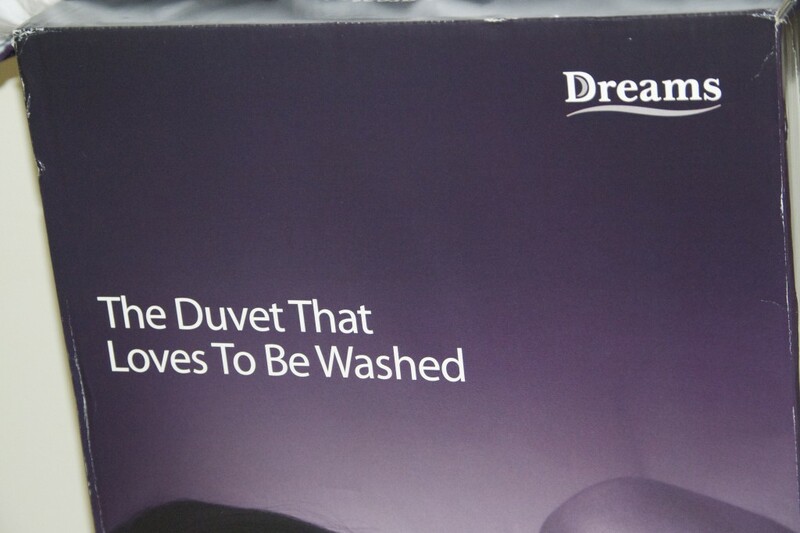 We were sent the duvet and pillow for the purpose of this review.